In pursuit of the missing Flune, the party food their way into the sewers. Having found their way into the sewers. Will they be able to find him amidst all this mess? Told that Xanathar’s Guild has a hideout in the sewers, the party is off to attempt a rescue of Flune. Will they emerge victorious, or just covered in stink? Having heard about a Zhentarim warehouse near the tavern where their missing man was jumped, the party decides to check it out. Will they find who they’re looking for? The crew is ready to follow up on their lead on the missing redhead. Will they find what they’re looking for at the Skewered Dragon? Bored with their usual haunt, a group of friends decide to visit the famous Yawning Portal. They never expected what would happen next. They’ve found the Infinite Staircase, they’ve found a final respite and gathered themselves, and now they’re on to Baator. But is that where their hearts truly lead? Having found a respite on the Infinite Staircase, the party takes a moment to rest and take stock of their situation. What else does the Infinite Staircase have in store for the team? Having made it past the feasts of the Fae, the party is on their way to the Infinite Staircase. Will it meet their expectations? They’ve seen Tymora’s most serious chamber, but will they get the aid they seek? Fortune finds us in the most mysterious ways. The party has finally made it to Tymora’s Golden Wheel, but will they gain the aid they seek? The party is on their way to meet Tymora in the hopes of gaining her favor in their quest to recover her temple from the depths of Baator. But what awaits them in her presence? The party continues onward to their short-term goal– an audience with Tymora. But what stands in their way other than an ancient giant were-bear? The party knows what direction they need to go, but not much else. How far will they get in their quest to find Selune, the next step recovering the Stolen Temple? Having begun their trek across the plane of Ysgard, the party has certainly gotten up to some of their usual antics involving polymorph, raging battles, and some dumb decisions. What’s next in store? Given directions by a local, the party and Bearn’s Boys are trudging across the plane of Ysgard in order to find the realm of Selune and within it, the goddess Tymora. What obstacles lie in their way? The party is now is Ysgard. But how will they manage to find their way to Selune’s realm? An entire floating continent sits between them and their goal with a population known to be a bit rough. The party is on their way to Tymora, but are still stuck in the outlands. How will they get to Ysgard, much less all the way to Tymora? And what awaits for them once they arrive in Ysgard? Baern, Erok, and Aspen have just walked through a portal with a bunch of rowdy boys into the gate town at the edge of the outlands near Ysgard, what could possibly go wrong? Armed with information about the missing Temple, all that’s left to do is the rescue. Should be easy right? Find out how it all goes awry as the characters set their plan in motion. The party has returned from Plague-Mort with a whole horde of new information. But how will they ever accomplish this monumental task? Left wandering the sewers of Plague-Mort, the party is still in search of the Tiefling sorcerer. Will they finally find what they’re looking for? We left the party down in the catacombs of Plague-Mort searching for the Tiefling sorcerer. How much longer will they be stuck down there? The party has found their way into the underground of Plague-Mort in pursuit of a Tiefling sorcerer. But dangers lurk in the dark. Will the team make it beyond the sewage filled warrens to find answers? The party has arrived in Plague-mort and made some ‘friends’. Will they find the answers they seek? Having recovered what is possibly their biggest clue in this entire investigation, the party is off to Plague-Mort, the city on the edge of the Abyss, in search of a Tiefling Warlock who may be connected to the Temple’s disappearance. The party has been attacked by bounty hunters sent by the Devils. They had just gotten done rescuing a dwarven sage who specializes in the Planes. Will this be the clue they need to get back on the trail of the temple? In case you missed it on the Official Dungeon Delve feed, we are finally able to release our Podcasts of Foes episode for Wizards of the Coast featuring monsters from the new Mordenkainen’s Tome of Foes. We left the party having arrived back in Sigil, with Erok paying off the debt of their new Dwarven Sage friend. But what could be waiting for them just around the corner? The party is still stuck on the plane of Carceri, in pursuit of a Dwarven Mage. Even though the Magnificent Mansion was a welcome respite, they must press on. What awaits them at the Temple of Titan? The party has stumbled their way through Colothys, rude denizens and all, in pursuit of a Dwarven Sage. Have they lost the trail? Did he really walk right up to the door of a Titan? The party was sent to Dwarven Mountain to find a Dwarven Sage, but discovered that their mark had been lost in transit and was most likely in the mountains of Colothys on the plane of Carceri. What else will they find in the driving winds and mountain paths? The party has been encouraged to head to the Dwarven Mountain in the Outlands in order to find a Dwarven Sage for Beetle, of Beetle’s Bobs & Wheezes. If they manage to bring him back, they will be rewarded with a handsome discount on a powerful magical artifact. With the party having returned to Sigil from the Abyss, there are still some loose ends to wrap up. But what trouble will they chase next? In the hopes of gaining better equipment, the heroes have arrived at Beetle’s. Hopefully, their luck is about to change. We left the party at the gate of the Keep of the Succubus, amidst an unfortunate scrap between the group and a couple of demons. How will they manage to get out of this one? This has felt like a setup from the beginning. But our heroes may not figure out what’s going on in time. The party has found themselves in the Abyss, playing courier, beseiged by mutant mouth monsters on a trail lined by dead devils. What else could go wrong? Knowing our heroes, its only a matter of time before things get worse. Having been ambushed by the Baatezu, the party was left staring out into the Abyss. How will they find the star crossed lover to get them back to Sigil? The Abyss isn’t a friendly place. If our heroes make a wrong turn, they may never get back to the safety of the Cage. We left the party on their way to deliver the love note of the mysterious stranger, with their crystal transport having been rushed by a group of Devils. What do they want and how will the party navigate this new obstacle? 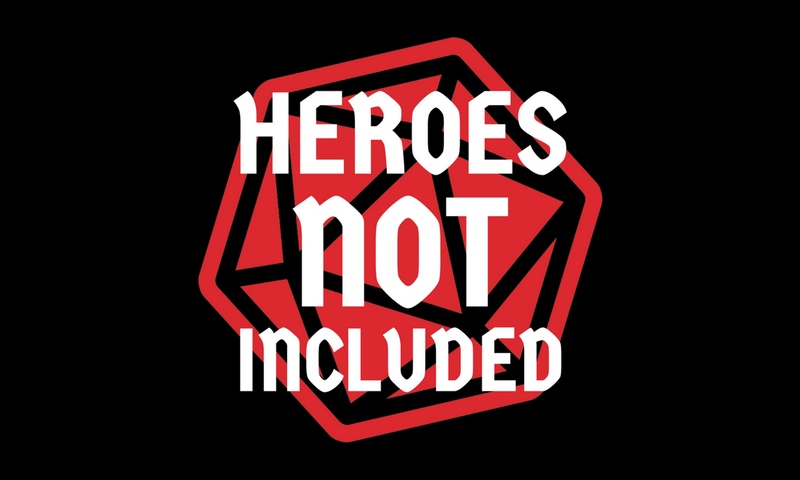 The party was stalled out by Subocca’s requirement that they join up with one of the many factions of Sigil before they could pick up the job mentioned by Kara the Tout. With what factions will the party ally? Its too early to tell what impact their choices will have on the planes. While Erok may not be having fun, Baern is certainly right at home among the orderly hallways in the Hall of Records. But what information lies in wait here in Sigil? Is this the means by which it is retrieved? The characters need answers. But the Cage doesn’t give up its secrets easily. The party’s collective head is still swimming from their abrupt departure of Baator, but are there answers here in Sigil, or just more loose ends? The party’s long awaited arrive in the Cage is here. With the Pillar of Skulls divulging the direction of the portal and the key with which to open it, the party is off to collect a brick, which is probably not yellow, from a road which is probably not paved with gold. The party is enjoying the hospitality of Hexla the wayward witch, who has been stuck in this first level of Hell for over 20 years! They have learned from her that there may be a way out. But will these condemned sages have any of the information that the party seeks? We last left the party amidst a magical cacophony. Has Finnot laid some kind of trap for those who would investigate his residence or has something else gone awry? After tracking Marcurio to Cormyr, the party is left with a gaping hole, both in the ground where the Towers of Good Fortune once stood, and in their knowledge of what transpired. Surely someone in Cormyr must have more answers. With Marcurio missing, and Leosan and the Harper spurring them on, the party has reached the border wall of Cormyr. But what mysteries lie behind it’s well defended border? What clues of the disappearances will be left for them to uncover? Marcurio Agosto Domine, Bard Extroadinaire, Harper Spy, and former adventuring companion of Bearn and Erock, has gone missing. Tasked with travelling to Cormyr in search of clues to his whereabouts, the party takes off to Waterdeep. At long last, Season 3 premieres with an hour long episode: New Beginnings. Meet new characters and find out what the Aspen has been up to since defeating Imrith and solving the mystery of the missing King Hekaton. We left the party having defeated the bedazzled air elementals and with Aspen having a peculiar feeling about the sand piles left in the lair. With Iymrith defeated, what else could be lurking in these dusty halls? Having hunted Iymrith to her lair, we left the party mid-action, with Eobard having been buried by a collapsing ceiling. Will he and the others make it out alive? And what of Iymrith? We left the party with Iymrith having fled deeper into her lair. Will their power, combined with that of their giant cohort, be enough to finish The Doom of the Desert once and for all? Despite having done virtually zero prep work for such an excursion, the team seems intent on going dragon hunting. Will they find their prize ready and waiting? We left the party in the middle of the Trackless Sea, confronted with the reality of a sleeping King and a very awake Kraken. How will they manage to escape? Having found the Morkoth and the incapacitated Heaton, what will happen next in the Trackless Sea, so far from their homes and with an ancient Kraken in sight? The party has arrived back in Maelstrom to inform Princess Cerissa of what was discovered on the Grand Dame, but how will they actually find this ship? Having been taken into confidence by Lord Drylund, the party is that much closer to information regarding the missing King Hekaton. But will Drylund end up being a dead end? Thanks to a clever ritual by Eobard, don’t have to worry about racism keeping them from exploring the Grand Dame Casino. But will this be the end of the Golden Goose Chase? The party has found itself on the trail of The Grand Dame casino. But will Yartar provide the missing clues about what in the heck a riverboat casino has to do with the missing King Hekaton? The party exposed Imrith’s plot at the court of King Hekaton, but the King himself is still missing. Where will this, now literal, goose chase lead? The party has made it to Maelstrom, but their fate remains unclear. Are there any allies to be had in the Court of the Regent Princess Cerissa? What news of King Hekaton is there to be uncovered? Will the party make it out alive? We left the party having snuck through Iron Slag, past the Fire Giants, goblins, orcs, and drow, to blow the magic conch of King Hekaton’s court. What awaits them on the other side? The party has successfully snuck into Iron Slag under the Ice Spires, but will they find the conch? And if they do, what comes next? What will the team find therein? Answers to their remaining questions about King Hekaton’s disappearance or a fiery death? With Chief Karthakaya of the Yak village about to return from his temporary banishment, the party has to think on their feet. Will they be able to subdue the Chief? Having escaped their confinement in the yak village, but now facing a herd of angry yak warriors. How will they scrape their way out of this hairy situation? We left the party enslaved by the Yak folk of the Ice Spires above the fortress of fire giant Duke Zalto. How will they manage to escape this time, outnumbered and naked as they are? With the help of the agents of Kluuth, the traveling party has stocked up in Mirabar and is off to the Ice Spires. Will they confront Duke Zalto? Eobard and his companions finally have a lead to follow, thanks to the answers from the Oracle, but will they be cut short with fang and flame, as quickly as it all began? Our heroes are as close as they’ve ever been to answers to the mysterious disappearance of Hekaton, King of All Giants, and the destruction of the Ording. Will they survive the battle against the barbarians and their white dragon wormling? Will the Eye of the All-Father contain the answers they seek? Having found little information in Silverymoon, a mysterious message is the thin thread the group has to follow in pursuit of the missing Hekaton, King of all Giants. Our heroes have tracked down a connection of Artis Cimber’s to Silverymoon and the House of Roaringhorn. Will they finally find out what happened to Artis? Our heroes were left investigating a tower that appeared to contain a giant. What is it doing here and what will happen when Ja’Dor Giant-Killer gets inside? The heroes were left stranded in Mirabar thanks to the unhelpful intervention of Queen Dagnabit’s spectral commando dwarves. Our heroes have been scooped up by a cloud giant named Zephyros in his floating Cloud Tower. Will their ride to Silverymoon continue to go smoothly or is there more danger lurking above the clouds? Bryn Shander has been saved! But our heroes are now on the trail of Artus Cimber. But how will our heroes fare on their journey to Silverymoon? Our heroes miraculously survived the Giant attack on Bryn Shander, but who is Artus Cimber and what about him brought the Giants to the Icewind Dales? Will our heroes be able to defend Bryn Shander against whatever the giants have planned and when over the skeptical townsfolk? We last left our heroes on the way to the Speaker’s Palace. What kind of reception will they face from the leadership of Brynshander? Will Eobard’s illusion be enough to hide our heroes? Will Ja’Dor be able to take out both a giant and a large wolf alone? We last left our heroes in the Goliath Village with Ja’Dor and the rest of his clan. What awaits them on the next leg of their journey North to Bryn Shander? Our heroes have finally reached the end of their climb. What will they encounter among Ja’Dor and his people? Will our heroes be able to defeat the horrible evil sludge? Will they finally get back on track with their journey North? Our heroes have defeated the Ogres and freed the prisoners from the pantry, but have they cleared the tunnels and expanses of the cave or does more danger lurk in its depths? Our heroes have stumbled upon a cave, what wonders will they find inside? Treasure? Glory? or is it just full of bat guano? Our heroes, having survived the viscious mid-night attack, continue on their quest. What surprises await them in the Spine of the World? Will our heroes survive their trip on the open sea? Will they arrive in Luskin safely? In this first episode, we meet our adventurers, have a council meeting, and begin our voyage North aboard the Orn Talon!